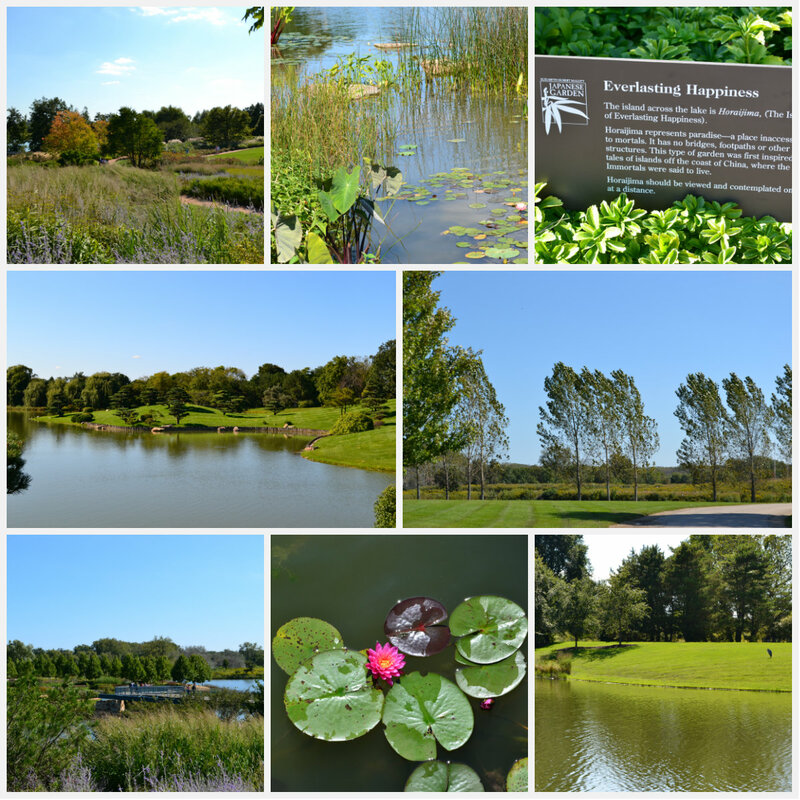 Chicago Botanic Garden | Que Sera Sara? One of the true hidden gems of our Chicago explorations so far. 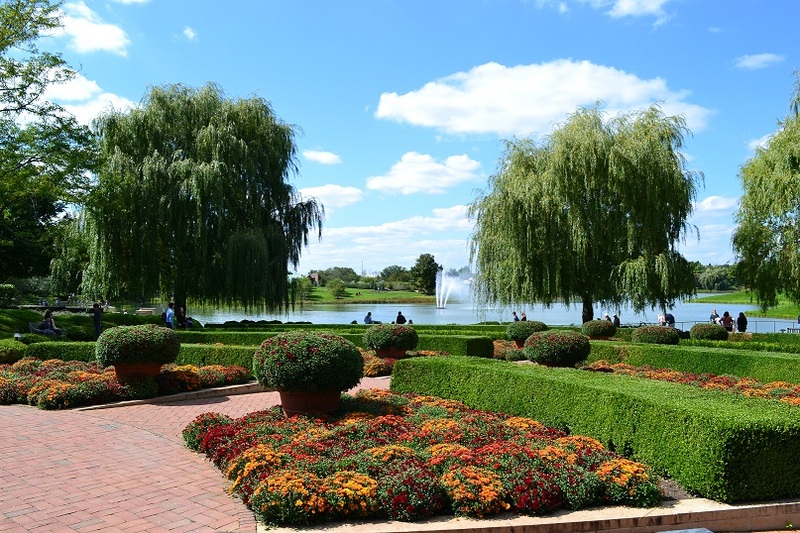 Despite the first part of the name being slightly misleading — the Gardens are a full 25 miles north of downtown, on the edge of a pretty suburb named Glencoe, I can attest it is absolutely 100% worth the journey. A traditional Botanic Garden in so much as it contains an array of smaller areas dedicated to particular regions, schools of horticulture or styles of landscape, this place is so much more than the traditional “North American desert bed” of lesser gardens. There are formal gardens and beautiful flowers to be sure, but it is the landscaping here which is truly tremendous. An afternoon’s wander will hit most of the sites, but for the careful observer the nooks and crannies and carefully designed views are where the place really comes into its own. Everywhere the land undulates to frame perfect vistas and gives a sense of space far larger than the actual footprint of the park. 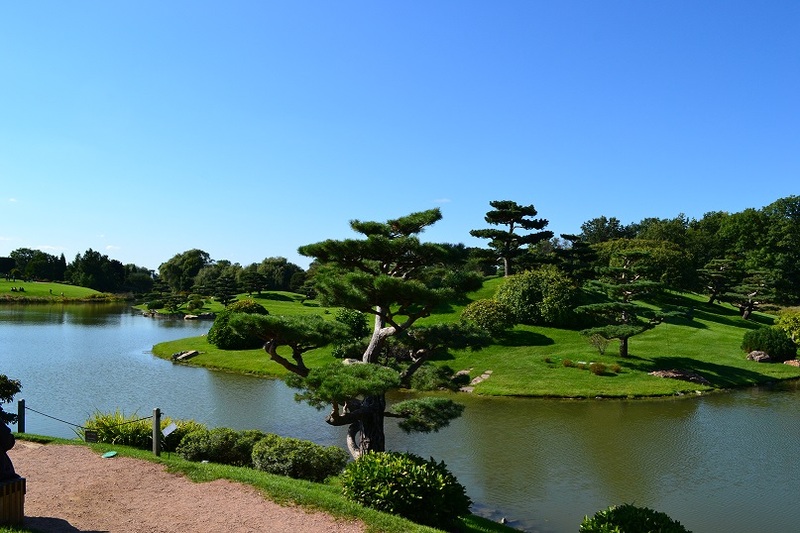 Most of the Garden is segmented by a series of islands, each with its own character and conjoined by bridges of varying styles and lengths. This enforced transition underlines the tranquility and reflection in the design of each space, and gives even the tiniest garden a sense of grandeur. The farthest border of the park backs up to a motorway and is given over to acres and acres of indigenous prairie and wood which handsomely shield both noise and traffic. Visitors may be 25 miles from downtown but it feels like much, much further. While the rose beds and fountains are lovely, especially in late summer, and the patio cafe looked tempting and luscious, it was the Japanese Gardens which really stole the show on our visit. 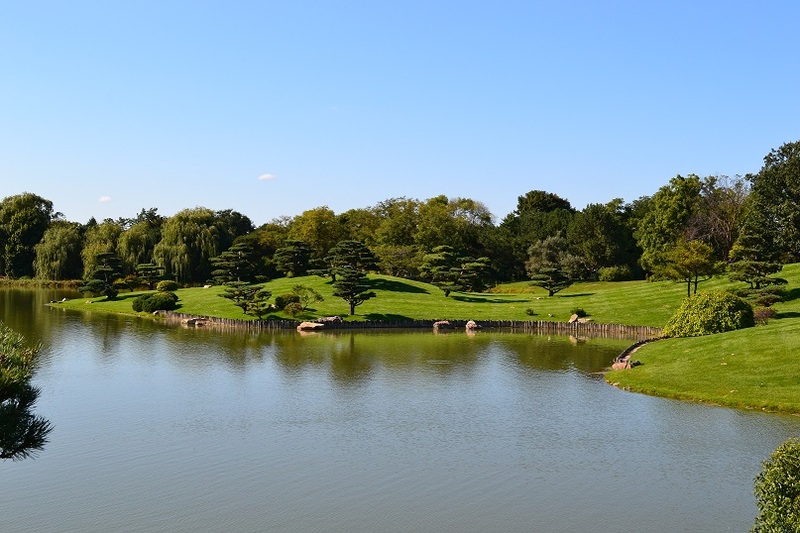 As a person with woefully anti-green thumbs, the most I could tell you about Japanese gardens beforehand was that they usually contained lots of rocks and for some reason they liked to prune very tiny trees. 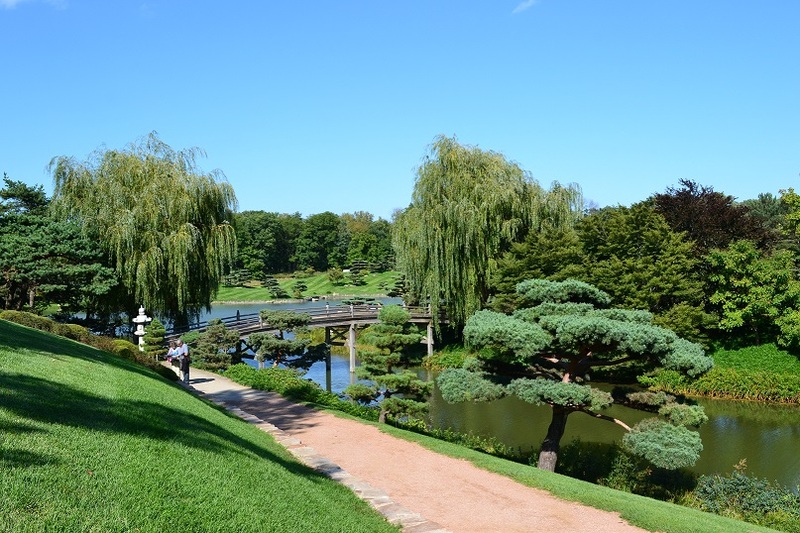 Here, the team thoughtfully placed placards, akin to liner notes, discreetly among the beds, describing the hows and whys of the entire park’s design, and in the case of the Japanese garden, the influences and cultural meaning therein. Far and away our favourite, though was discovering Horaijima. Bean and I have decide that we need a garden large enough to contain our own version someday. Horaijima is an island, unreachable by pedestrians and unspoilt by built structures of any kind. It is meant as a paradise, inspired by the land of the the gods; a capsule of divinity which can be appreciated from afar. Such picturesque (and rather Hobbitlike) beauty was arresting and peaceful; the untraversed slopes, unknowable and yet so close, were a soothing feast for the eyes. 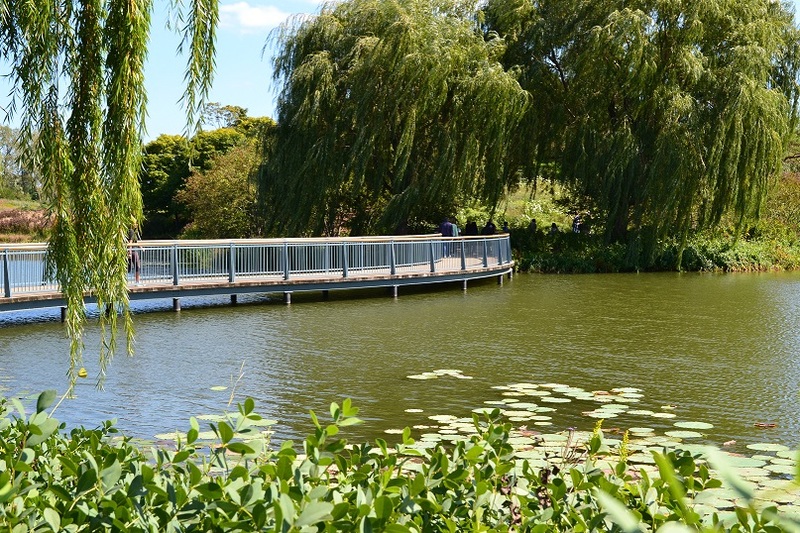 The Botanical Garden is open year round and plays host to free concerts, feasts and events of all types. I’m keen on October’s beer tasting event and Bulb Festival myself). Admission to the Garden is free, but parking is steep ($25 a car last I checked). We walked from the Braeside Metra station a little over a mile down the North Branch Trail cycle path. A more economical option for now, but come winter I think I’ll be considering a free-parking-included membership.